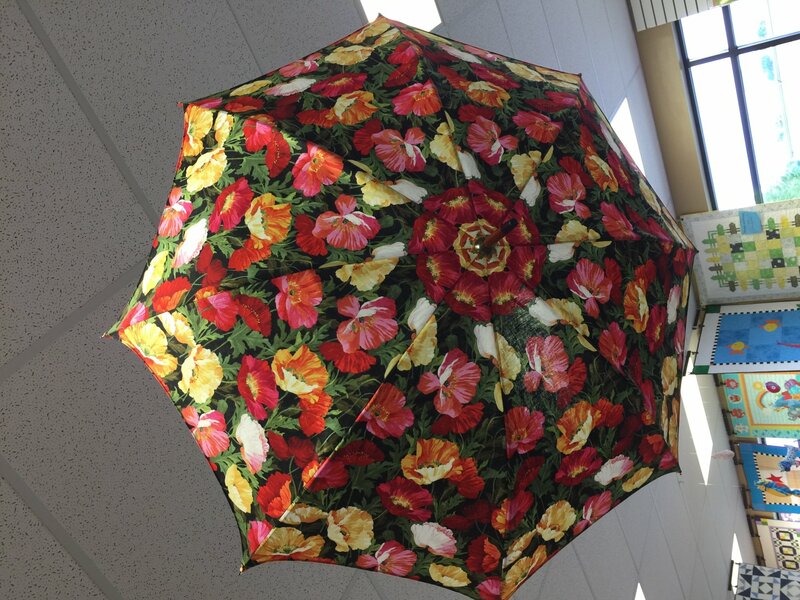 Have you seen that perfect line of fabric in our store and want to make something unique, join us for THE Umbrella Class. There are so many gorgeous fabrics out in the world, why just buy a boring umbrella when you can make a statement all your own. You can kaleidoscope your fabric to enhance the design, make it in coordinating fabric, or pick directional fabrics for you, your child or BFF. The Umbrella can be used as a parasol, or waterproof it to dance in the rain. Materials Included: Pattern included in the price of the class, class is $40, umbrella frame with class is an additional $18.00. Requirements: sewing machine, basic sewing skills, hand needle, fabric glue, matching thread, fabric to metal glue, choice of fabric.